Did you know that you can greatly improve the look, value, and energy efficiency of your home by having strong, low-maintenance siding? Not only is a home’s siding a great protection against the weather; it’s also cost-effective, with an average of 76.4% in cost recovery from maintenance and energy savings over its lifetime. If you’re looking for an expert contractor who can help you reap the benefits of a great siding material, you can turn to A Cut Above Exteriors. 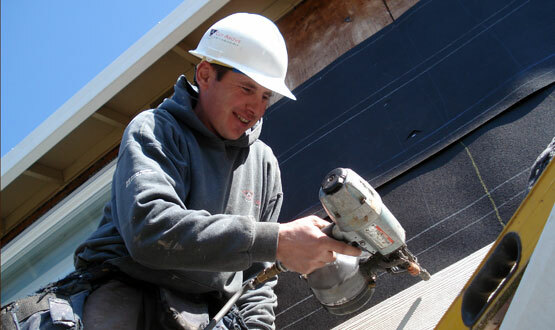 With our years of experience in home exterior projects, we are your best choice for siding installation in the Portland, OR, area and the surrounding communities. You may ask, “How can installing quality Portland siding save me money?” Well, the answer lies on the way it forms an insulating barrier between conditioned indoor air and the outside weather. Since unwanted drafts cannot enter your home through your new siding, you can improve your interior comfort without having to overuse your utility systems. Quality siding also helps keep necessary heat inside your home to prevent significant energy loss. Here at A Cut Above Exteriors, we do not offer subpar siding products. We only trust James Hardie®, the most trusted name in the siding manufacturing industry. Our James Hardie fiber cement siding offers more than durability and energy efficiency; they are also long-lasting and attractive. You can choose from a wide array of colors that will suit your existing aesthetics. Lastly, our siding products come with strong warranties to give you peace of mind through the years. Our experts will be with you every step of the way, from the initial call, to the actual installation, and even beyond that. Upon the FREE inspection and estimate, we will provide you with a comprehensive contract and set up a pre-job walk with you and all parties involved in the project. We will then schedule a target start date that works into your schedule and coordinate with you on getting the site ready for tear off. Once everything is set, our project manager and installers will check for dry rots, install weather-resistant barrier, and wrap your windows and other openings with innovative protection. The actual siding installation will proceed afterwards. Finally, we will clean up after completing the job and make sure everything is at tiptop condition before leaving your property. A Cut Above Exteriors is the company local homeowners call for their siding and home exterior needs. Contact us today at 503.334.0733 or complete our online request form to schedule a FREE consultation!